Making sure the information in your Apple ID account is up to date is crucial. Your Apple ID contains a lot of information about you: your address, credit card, the country you live in, and ​your email address. You probably added that information to your account when you bought your first Apple computer or iPhone and then forgot it was there. If you move, change credit cards, or make some other change that affects this information, you need to update your ​​Apple ID so that it continues to work properly. How you go about updating your Apple ID depends on what you need to change and whether you use a computer or an iOS device. Tap ​Settings on the Home screen. To change the credit card, tap the card in the Payment Method field. If prompted, enter your iPhone passcode. Enter the information for the new card you want to use: cardholder's name, card number, expiration date, three-digit CVV code, a phone number associated with the account, and the billing address. When the card has been verified and all information is accurate, you'll be returned to the Payment & Shipping screen. Tap the three-line icon in the upper-left corner. Tap your photo or name at the top of the menu. Tap ​View Account at the bottom of your profile. Enter your Apple ID password, if asked for it. 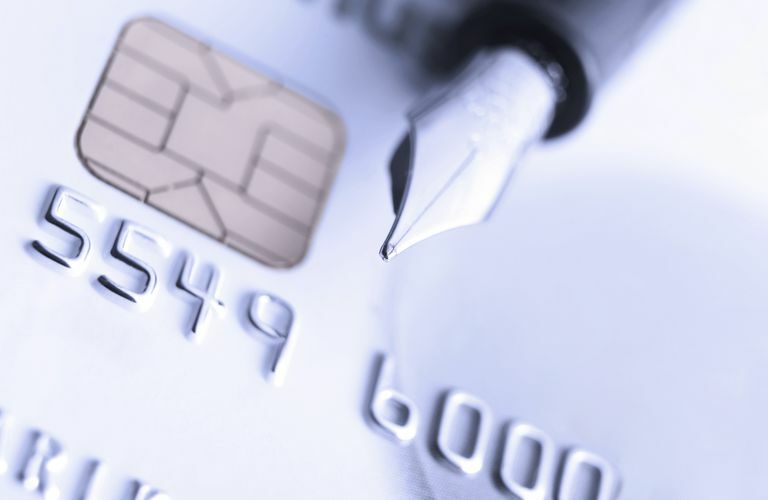 Add your new credit card number and billing address. In a web browser, go to https://appleid.apple.com. Scroll down to Payment & Shipping and click Edit. Enter a new payment method, billing address, or both. You can also enter a shipping address for future Apple Store purchases, if you'd like. Tap Name, Phone Numbers, Email. Tap Edit in the Reachable At section. Tap Next to save the change. Apple sends an email to the address you just changed your Apple ID to. Enter the verification code contained in the email. Enter your Apple ID and password to sign in. The list of email addresses associated with your account is displayed. Choose the one you want to use. Make sure that all of your Apple devices and services like FaceTime and iMessage are signed into the new Apple ID. This process also works for changing Apple IDs that use third-party email address using a computer. The only difference is that in step 5 you can enter any email address and that you'll need to verify the new address via an email Apple sends to you.